Very Positive (674) - 94% of the 674 user reviews for this game are positive. Update #89: Save 50% + Detonation Power! Update #88: Major Milestone "CLAYMORE"
The major milestone CLAYMORE introduces a new style of play for Templar Engineers who can now drop landmines onto the field of battle to bait, slow and detonate oncoming enemies. This new style of defensive play is best matched with other Engineering abilities like Sentry Turrets and can be used by both Flame Engineers and standard Engineer Templars. They can be useful to both hold a defensive perimeter or slow down pursuing enemy forces as your elite strike force of mechs powers forward to an objective. Unlike a conventional landmines, the Templar landmine is remote detonated by the command of its Engineer to ensure the most devastating effect. If the landmine's internal systems are compromised beyond a point, it will automatically self-destruct to attempt to take out its attacker as its final action. 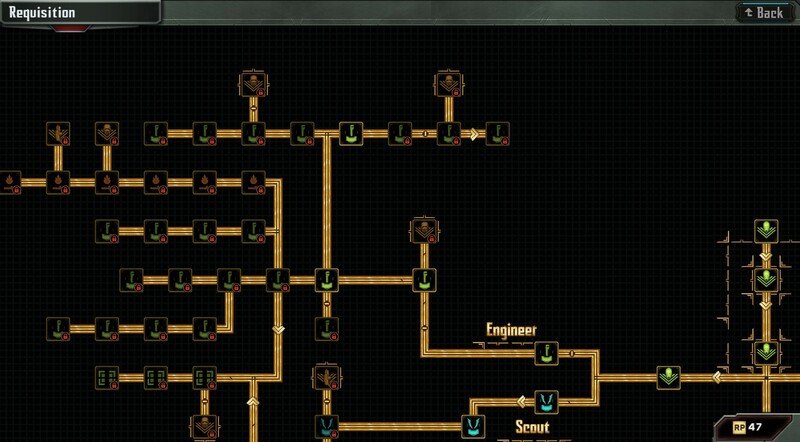 Access to the Landmines and their Talents and resupply Ordnance are controlled through a new branch of the Requisition Tree from the Engineer's main trunk. 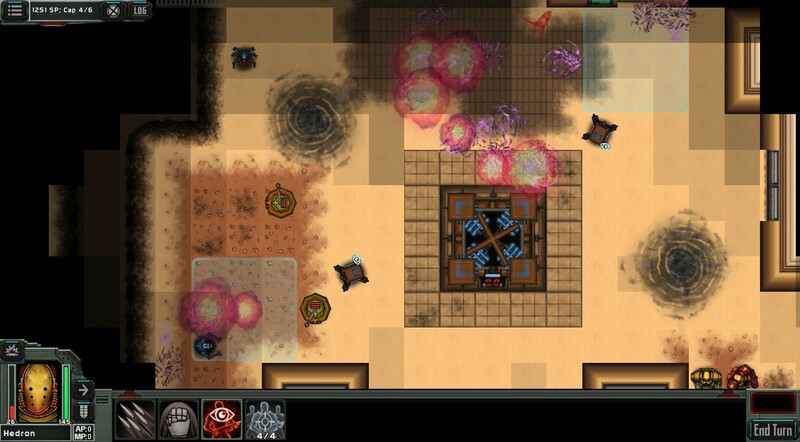 Each level of the Deploy Landmine Talent will increase the total number that can be dropped as well as better their explosive weapon and armor. The landmines' greatest weakness is those xeno and enemy that can hurl ranged attacks, standing out of their explosive radius and raining down attacks until they self destruct. For these situations, a Landmine's last defense is its Bolt-Seal Talent, a buff that increases its armor and ability to survive hits in trade for some of its Penetration % when it does explode. Landmines will be most effective when they can survive a few hits and allow a crowd of melee enemies to get in close enough for one big detonation. - Engineers can now drop landmines as a defense perimeter -- boom boom! Lead your squad as they blast, hack, and burn their way through the galaxy! Leviathan Battle Suits - They pilot 10 foot tall battle mechs known as Leviathan Battle Suits. Once designed for high-pressure environments and exploring gas giants and deep space, these mechs have been adapted for war. Templar Lineage - Templars descend from a Zendu bloodline -- a unique heritage that gives them the ability (with proper training and ritual) to pass all of memories from their lives (and any memories passed down by their ancestors) to a newly born child. This memory gift is known as a Templar’s Lineage – and it is what gives Templars their immense advantage in combat, tactics, engineering, and the ability to drive the hulking Leviathan Battle Suits. The player takes on the role of a Templar Captain who hails from a storied Lineage reaching back 87 Templars -- and who pages back through the memories to help cope with the dire situation at hand. The Templar Knights are a martial order sworn to protect the Star Traders – the last known free humans. Under the guidance of the Templars and the prophet Shalun, the Star Traders departed the ruins of the Galactic Core, leaving behind desolation wrought by the great Galactic War. Guided by the prophet, the Star Traders sought a new home among the stars. Across the multi-generational journey of the Great Exodus, many ships have been lost, fallen behind, or splintered from the main fleet -- scattering the Star Traders to the galactic winds. 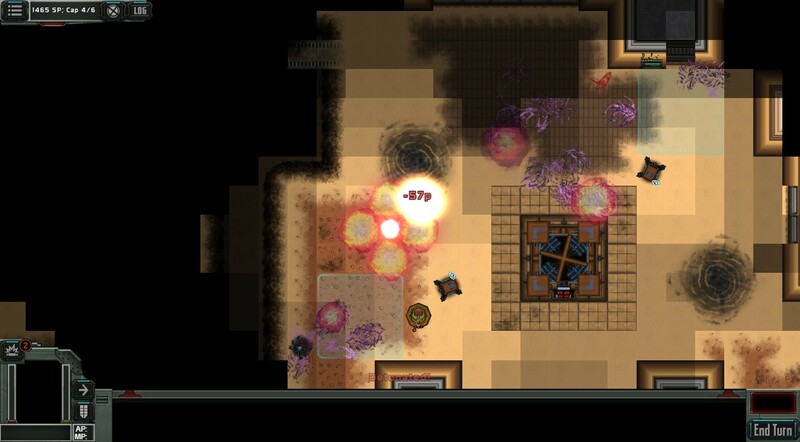 Templar Battleforce is the fourth Trese Brothers title set in the Star Traders universe. The game follows Templar Assault, the Trese Brothers’ original squad-based warfare game in which players lead squads of Templar Knights against the Xeno threat. Templar Battleforce inherits not only the rich story of its predecessor, but the game’s high tension and corridor-to-corridor combat style. Games created by the Trese Brothers are known for challenging difficulty progressions, so you’ll have the option to play on easy and normal difficulties -- or crank it up into multiple gears of insanely challenging combat! Come join the family! We’re an indie studio built on the mixed skills of three brothers: Cory is the oldest and our engineering ninja, Andrew is the middle brother who both codes and draws, and Martin is the youngest and the artistic talent behind Templar Battleforce. You can find our team interacting with gamers every day on our forum about everything from features to new content.